Transform a room or a piece of furniture with this 12x16 decorative pillow. 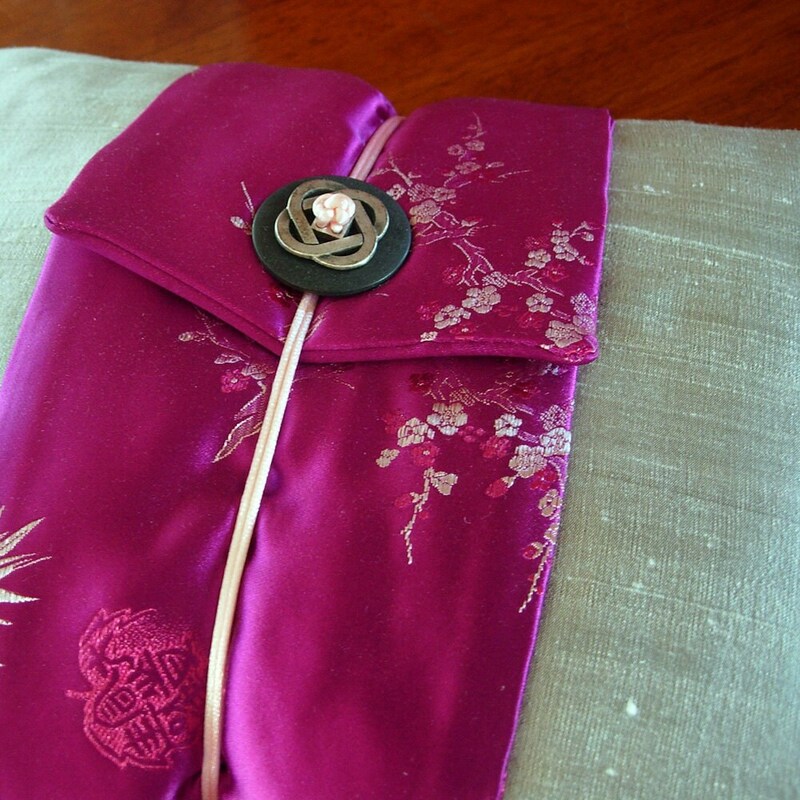 In Japanese obi-wrap fashion, made with silver dupioni silk and accented in fuschia and pink cherry blossom brocade, pink cord and silver knot medallion, will make a sophisticated addition to your home. Original pillow pattern by Linda Lee. • Filled with polyester fill and sewn closed. • Intended for indoor use only. Do not place in direct sunlight. Or contact me if you have a specific request. I love custom orders. This pillow is ready to ship worldwide First Class Mail.